Dental Practice for Sale - LCF Financial Inc. Acquiring a practice has many benefits; an established building with equipment, an experienced staff, and an existing client base, can help you focus on your patients instead of building a business. At LCF Financial Services, we take pride in our ability to guide you through the purchase of an existing office. 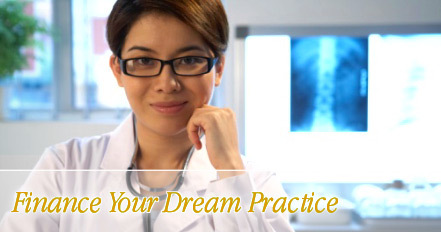 Our professional staff works to ensure your practice acquisition funds as smoothly as possible, allowing you the opportunity to concentrate on your needs as a new business owner. We know it is stressful and exciting to open a new business. Our knowledgeable staff works to ensure that you are aware of issues related to owning and operating a new business for the first time. We work to provide hassle-free financing of construction, equipment, as well as working capital throughout your interim project period. You are able to remain in control of the entire project while we do the "busy work" associated with opening a new office. Expansion is the key to corporate growth. At LCF, we understand this need and bring our 10+ years of experience to the field to better serve your expansion needs. It is not uncommon to have built-up credit card debt while finishing school or credit card debt while running the day-to-day operations. We have created several programs within our project financing as well as programs specializing in debt consolidation to help you clear-up lines of credit for future use. LCF can help you consolidate your debt as its own transaction or we can consolidate your debt into your practice start-up loan or practice acquisition loan, you are eliminating high revolving balances that could prove difficult to manage in the future. Consolidating personal or business credit card debt into a business loan has several advantages. Call us to see how much of an advantage this can prove to you. We understand equipment is the key to business; keeping up with technology is costly however it can give you a generous return on investment. We can help you purchase your own equipment or lease equipment. If you have already financed the equipment yourself and decided that you should have gotten a loan, read our section on Reimbursement. LCF Financial Services can lend more Working Capital than any other healthcare financing company! Depending on your personal credit, you could qualify for up to $500,000.00 in working capital! We lend working capital with practice acquisitions, practice start-ups, or on a separate transaction. Every company goes through improvements, even us! If you're going to need leasehold improvement, let us know so that we can help. In addition to financing your office start-up or practice acquisition, we can reimburse any or all expenses you have had before choosing to finance your project. If you have already purchased a piece of equipment, or if you have paid the construction company deposit, etc, LCF Financial Services can reimburse you for that out-of-pocket expense so you begin on a clean slate. If you have already paid for your entire office and have decided you should have financed, we will be happy to reimburse up to 100% of it! For all reimbursements, we require proof of payment. For example, for a construction reimbursement, we will need the invoice or contract, in addition to the cleared check from your bank. If you have an expense on your credit card, we will need the invoice of the expense as well as the credit card statement wherein it appears. All credit card reimbursements are paid directly to the creditor. All cash reimbursements are paid directly to the Client. LCF Financial Services can reimburse most expenses within six months of purchase. Reimbursement proves to be an effective tool for managing cash-flow for a new business. It allows you to further maximize your amount of working capital for operating expenses, salaries, marketing, and other miscellaneous start-up costs. Call a toll-free hot line 800-550-9228 if you experience any difficulties accessing these online services. A Division of LCF Financial, Inc.